William Orville Douglas, 1898-1980. Associate Justice, Supreme Court of the United States, 1939-1975. Cacheted first day cover signed, W O Douglas, postmarked Washington, D.C., August 2, 1950. 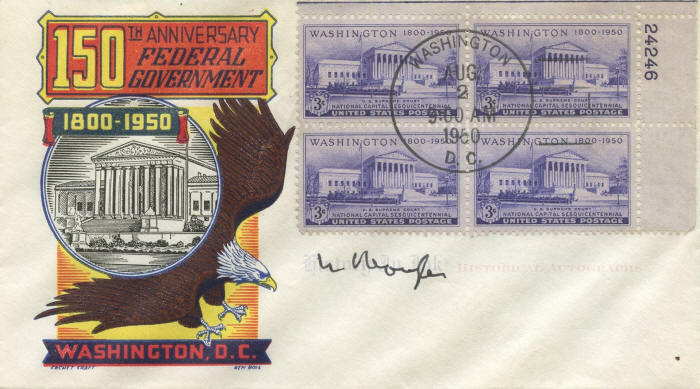 The block of four stamps on this cover depict the United States Supreme Court building. The purple Supreme Court stamp was one of four designs issued to commemorate the sesquicentennial, Two other stamps depicted federal buildings: a green one showing the south front of the White House and a pink one picturing the United States capitol.  A fourth stamp, a vertical blue one depicting the statute of Freedom that sits atop the capitol dome, completed the set. The four were among 11 commemorative stamps issued in 1950. Douglas has signed this cover in black felt-tip pen. The signature is likely an old-age signature. Douglas served until he was just over 78 years old. The piece has a bit of soiling on the back but overall is in very fine condition. Click here to see more Supreme Court items.